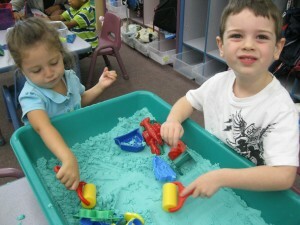 BCCS at SUNY provides children with a comprehensive early childhood experience. Offering services from infancy through toddler through preschool and preparing children for kindergarten. The infant program provides a safe and nurturing environment in which each baby forms significant and trusting social relationships with adults and peers. As per New York State day care regulations, there are a maximum of eight infants in the room and a minimum of two staff. The toddler program offers daily interactive learning experiences where each toddler gains a “sense of self” and confidence in their emerging skills. As per New York State day care regulations there are a maximum of ten toddlers and two staff.